For months our developers were busy slaving away to create a landing page builder that was both user friendly and feature rich for our release. But amongst the excitement of our new page builder, the release of our integrations, and the unveiling of over 40 high converting landing page templates, we sort of forgot to toot our own horn. That’s why this week’s feature spotlight is all about our our 100% mobile-responsive landing page builder. Compared to a few years ago when the mobile web was in its infancy, mobile web traffic now accounts for 60% of all internet access. More people could see your landing page on mobile than on desktop. That means that your landing pages don’t have to just “work” on mobile, they have to be designed for mobile. Well that’s exactly what our development team did here at Wishpond. 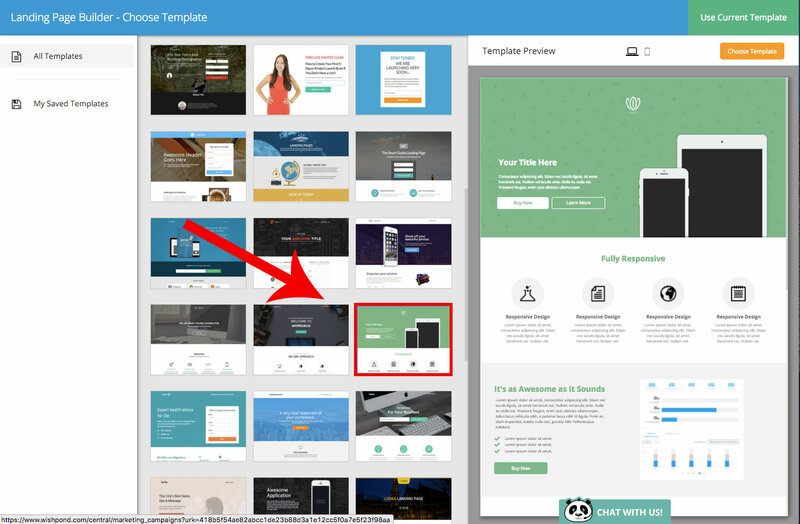 All of our templates are designed from the ground up to look, feel, and convert great on mobile. 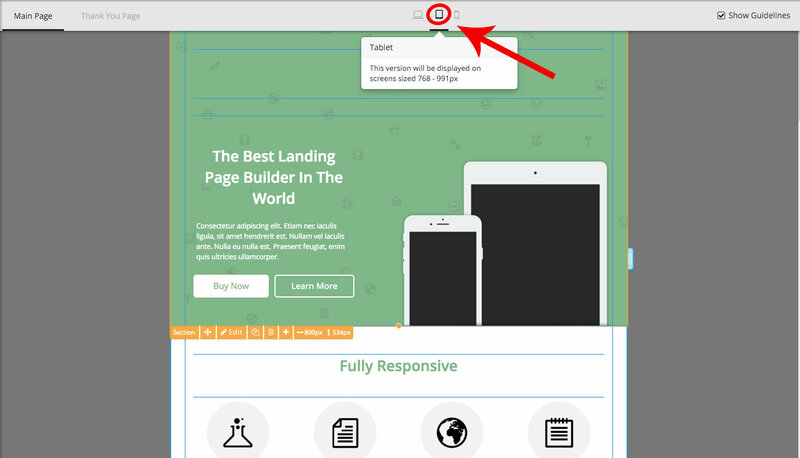 Using a system of content columns to house data on your page, Wishpond landing pages automatically adjust depending on the size of the viewing screen. Since all content is stored inside of these content columns, the integrity of text, images and videos can be preserved while scaling down the screen size and resolution. Using this system, you’ll never need to worry about altering your page to accommodate mobile, since our grid layout already has you covered. Once you’ve selected your template, toggle through the tablet and mobile phone icons at the top of the editor to make changes specific to tablet and mobile views. 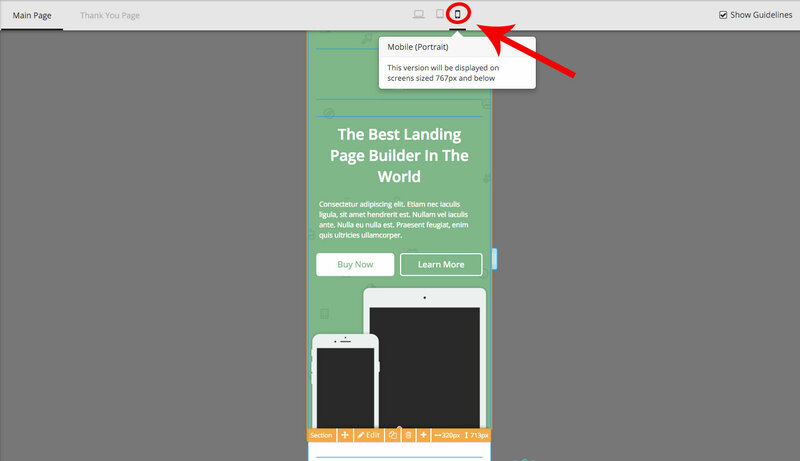 The tablet view will show you what your landing page will look like for screen resolution widths between 768 - 991px. And the mobile portrait view will show you how your page will be displayed on screen sizes 767px and below. Alternate between all three options as you build your page to ensure the page looks exactly how you want it to on every device. You can even make device specific changes like font size adjustments and line spacing to certain sections specifically for mobile. Login to Wishpond and start building your free mobile responsive landing page today!